Otley All Saints CE Primary School aim to ensure our children are well equipped academically and socially to transfer to High School with confidence. We believe achievement in all subjects is important, and levels of attainment at the end of Year 6 are high. Otley All Saints also value the wider development of each child and place a strong emphasis on personal and social education, creative abilities and physical education. They offer a range of extra curricular activities for children of all ages. The value of positive links between home and school is also important to Otley All Saints and they aim to work closely with parents to ensure maximum benefits for each child. 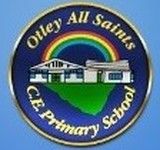 Children at Otley All Saints CE Primary School are taught in a well equipped, stimulating environment by a team of dedicated staff. The school is in an attractive setting and enjoys a very good local reputation. Otley All Saints CE Primary School aim to ensure that every child enjoys a successful and rewarding primary school life.